The area around Avinguda del Paral•lel has always been at the heart of Barcelona’s nightlife. 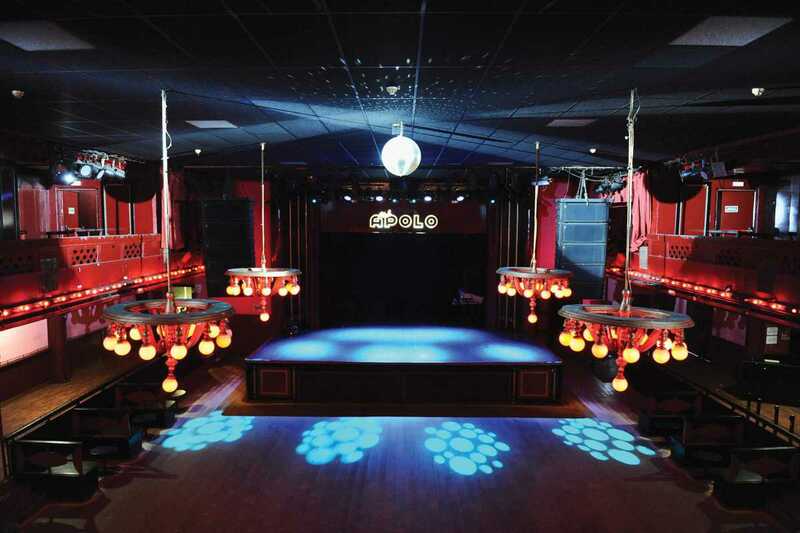 Famed for its theaters and music halls since the beginning of the 20th century, it continues that tradition today, including the ever-popular club and concert venue Sala Apolo. Founded in 1943 as a dance hall, the main room still retains that look and feel, but club nights range from Nasty Mondays and reggae with the Caníbal Sound System on Wednesdays to Nitsa, their Friday and Saturday electronic music session. Both the main room and second space La  de Apolo host live concerts Monday to Sunday, ranging from tour dates by major artists to Caprichos de Apolo, which offers a diverse selection of music from around the world. La  has recently reopened after an extensive refurbishment, while the main room now has an improved sound system. Completing the picture is La  de Apolo, a new, intimate bar area.